The "industry of death" exists in the world as many people in power live off war, Pope Francis told Italian schoolkids in the Vatican on Monday. 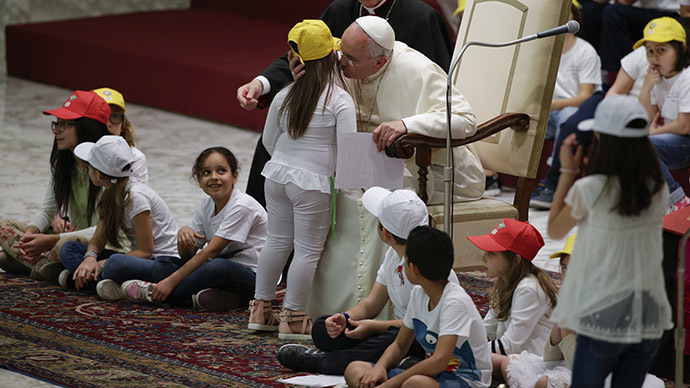 “Many powerful people don't want peace because they live off war," the Pontiff said as he met with pupils from Rome’s primary schools in the Nervi Audience Hall. Talking to children during the audience organized by the Peace Factory Foundation, he explained that every war has the arms industry behind it. "This is serious. Some powerful people make their living with the production of arms and sell them to one country for them to use against another country,” the Pope was cited by AGI news agency as saying. The head of the Catholic Church labeled the arms trade “the industry of death, the greed that harms us all, the desire to have more money." “The economic system orbits around money and not men, women,” he told 7,000 kids present at the audience. Despite the fact that wars “lose lives, health, education,” they are being waged to defend money and make even more profit, the Pope said. “The devil enters through greed and this is why they don't want peace," 78-year-old Francis said. "There can be no peace without justice," the Pope said and asked the children to repeat those words out loud three times. “Peace must be built day by day and even if, one day in the future, we can say that there will finally be no more wars, then too peace will be built day by day because peace is not an industrial product, it is artisanal: it is built day by day through our mutual love, our closeness,” he said. 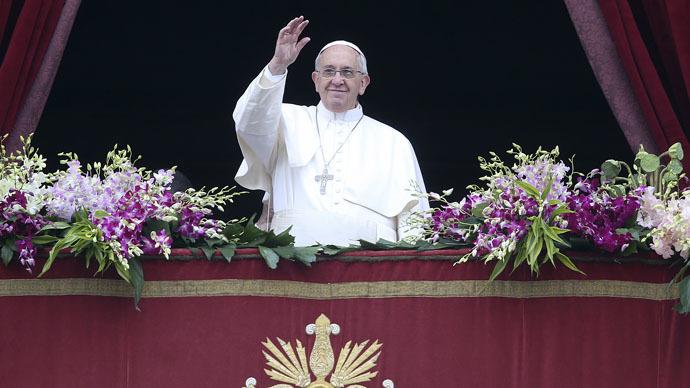 In his April Easter Address, the Pontiff urged to end “absurd” violence, bloodshed and persecution in hotspots around the world. “We ask for peace, above all, for Syria and Iraq, that the roar of arms may cease and that peaceful relations may be restored among the various groups which make up those beloved countries,” he told tens of thousands of pilgrims at St. Peter's Square in Vatican.